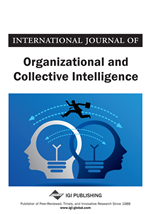 This paper presents a novel approach to harnessing collective intelligence that will allow a community to create, collaborate, and share knowledge based on the Semantic Argumentation Model (SAM). It encourages multiple users to express ideas or positions on complex issues, and to submit arguments that support or oppose the ideas of the other members. In principle, ideas considered possible solutions to an issue are those that contain high content quality and achieve great community agreement. Therefore, the authors define several useful measures to analyze the deliberation for determining the content quality, community preference, and achieving quality-assured consensual knowledge. Finally, a web-based prototype system founded on the proposed approach is developed and made available for public use. A preliminary study on the system usability shows that the system is practical and can enhance the collaborative knowledge creation and sharing process. By allowing users to easily create and edit articles, Wikipedia has grown to be the world’s largest free encyclopedia. Its mechanism, however has resulted in edit war and vandalism problems (Viegas, Wattenberg, Kriss, & van Ham, 2007), which then lead to untrustworthy problems. Moreover, its history pages representing information in reverse chronological order (most recent first) also confuse its users when searching for an evolution of a specific knowledge. In order to improve information access and enable knowledge exchange across applications, Semantic Wikipedia (Krotzsch, Vrandecic, Volkel, & Haller, 2007) allows users to semantically annotate wiki pages. However, high technical skill is required for inexperienced users to structurally formalize their knowledge, and the several aforementioned problems caused by wiki mechanism remain unsolved.